One beefy alternative and another fruity fad will be introduced in select campus dining this upcoming Spring semester. A new mushroom-beef burger blend of 70 percent ground beef and 30 percent raw and roasted mushrooms will be served at Oglethorpe Dining Commons, Bulldog Burger and the Niche at Health Sciences. The University of Georgia now has room for nearly 1,000 more students this fall. UGA President Jere Morehead and other university officials filled the lobby of 960-bed Russell Hall Wednesday morning to rededicate the 51-year-old Baxter Street high-rise residence hall, which has been home to tens of thousands of UGA first-year students after opening in 1967. Auxiliary Services at the University of Georgia opened its “One Stop Shop,” over the summer in Tate Plaza next to the UGA Bookstore. The shop helps people with problems involving dining services, transportation, parking and Bulldog Bucks. 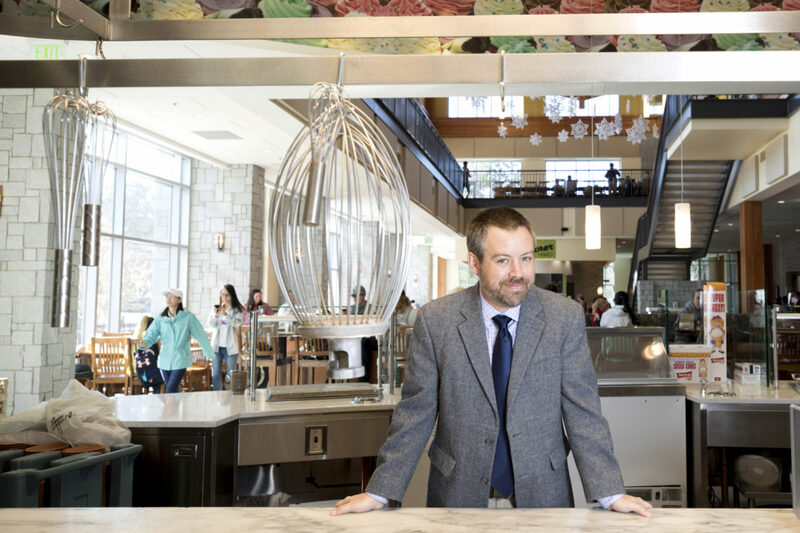 When University of Georgia students and faculty need to grab a quick bite, they now have the chance to pick up something different than the average sandwich. Here are the 25 college dining programs with the highest number of meal plans sold. College dining halls are usually large, cafeteria-style establishments that feed thousands of students quickly three times a day. That is to say, they're not typically seen as producing restaurant-caliber food. But at some college dining halls, the food is a step above the rest. For students with food allergies, navigating the dining halls can often be tricky. According to UGA Dining Services, every dining hall is considerate of these students by ensuring they serve options every student is able to eat, no matter the allergy. Starting this fall, students will be getting into the dining halls hands-free. UGA is installing iris cameras in all the dining halls and the Ramsey Student Center, and a quick glance at a camera will replace the current hand scans and card swipes.